Revita is hair growth stimulating shampoo packed with antioxidants and anti-inflammatory ingredients to nourish follicles and protect existing hair from falling. Revita shampoo is currently not available. 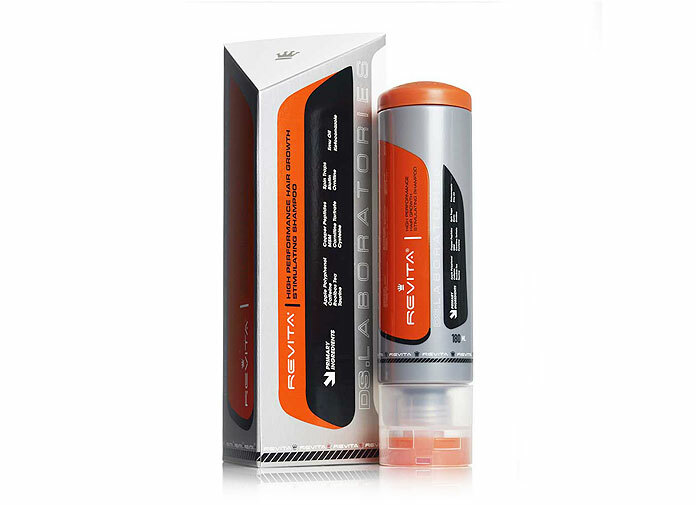 If you are looking for hair growth shampoo, consider this shampoo instead, which has over 600 positive reviews. 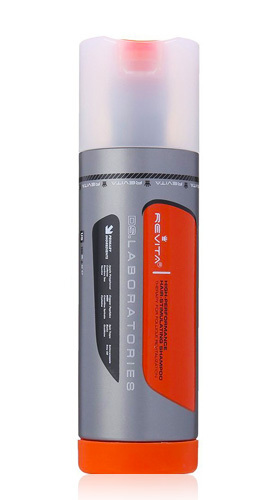 DS Laboratories, the company of the Revita hair growth shampoo, confidently says that Revita is the only shampoo in the market that integrated an anti-DHT property to fight hair loss and stimulate new hair growth. This is a bold statement because most hair loss shampoo brands such as Nioxin are focused on providing thicker looking hair or less hair fallout. But none of them do not state that their products promote new hair growth. It’s suprising that the shampoo uses more gentle ingredients to scalp & skin than baby shampoos. 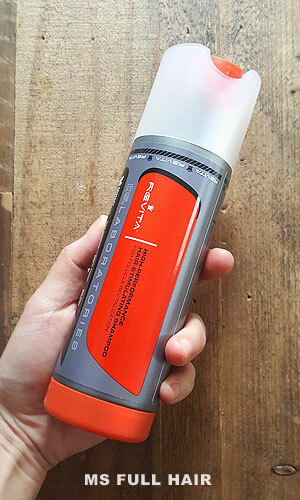 Because there are several reviews pointing out one of the main Revita shampoo side effects as skin irritation such as small pimples on the scalp. The study results by the Dermatology clinic of Friedrich Schiller University in Germany discovered a noticeable increase in hair follicle growth (up to 46%) when caffeine was presented. The researchers observed a stimulating effect of caffeine and its direct interaction with the root. This interaction appears to prevent testosterone-based hair loss and stimulates growth at the same time. This means that if you are experiencing hereditary hair loss, topical products with caffeine in them (shampoo, serum, etc) can be a big help by providing a significant stimulating effect for your hair. Also known as Nizoral (a famous shampoo brand containing Ketoconazole), this ingredient has an anti-fungal property and also known to be effective as a hair regrowth stimulant by controlling the execessive production of testosterone according to American Hair Loss Association. Other hair stimulant ingredients in the shampoo includes Copper Peptides, MSM, Taurine, Rooibos tea, Biotin and Emu oil. Other positive reviews that are often mentioned is a decrease in hair shedding. Some of these reviewers actually saw new hair growth only after using one month. Also note that many people with positive results precisely follow the direction which you need to leave it for 1-2 minutes, rinse, then let it seat on the scalp for another 3-5 minutes. Is Revita shampoo safe? Any side effects? Interestingly enough, going through hundreds of reviews, we noticed that some people experience hair shedding. Some also reported the shampoo makes their hair dull or notice little difference before and after using it. 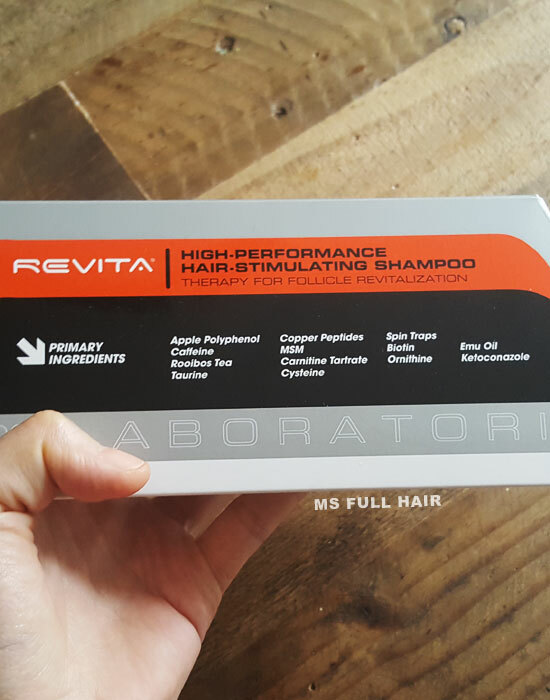 If you are looking to buy Revita shampoo, there are many e-commerce stores carrying the product including Amazon, Drugstore, Skinstore and the official website. Have you tried Revita shampoo? Does it help with your thinning hair? 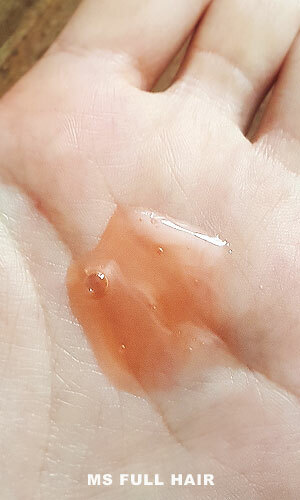 Water, Cocamidopropyl Betaine, Coco Glucoside, Caffeine, Pyrus Malus Seed Extract (Apple), Aspalathus Linearis (Rooibos/Red Tea) Leaf Extract (Roobios), Apple Polyphenol (Procyanidin B-2), Ketoconazole, Hydorlyzed Wheat Protein, Carnitine HCl, Ornitine HCl, Acetyl Cysteine, Dimethyl Sulfone (Methylsulfonyl Methane), Taurine, Emu Oil, Biotin (Vitamin H), Copper Peptides, Aloe Vera (Aloe Barbadensis) Leaf Juice (Spray Dried), Glycereth 7, Glycerin, Oleanolic Acid, Polyquaternium 10, Glycol Stearate, Menthyl Lactate (Menthol Derivative), EUK-134 (SOD Mimic/Spin Trap), PEG 150 Pentaerythrityl Tetrastearate, PEG 6 Caprylic/Capric Glycerides, Menthol, Zinc PCA, Citric Acid, Sodium Chloride, Methylchloroisothiazolinone, Methylisothiazolinone, Tetrasodium EDTA, Red 40 Lake (CI 16035), Blue 1 Lake (CI 42090). Thank you for the article. 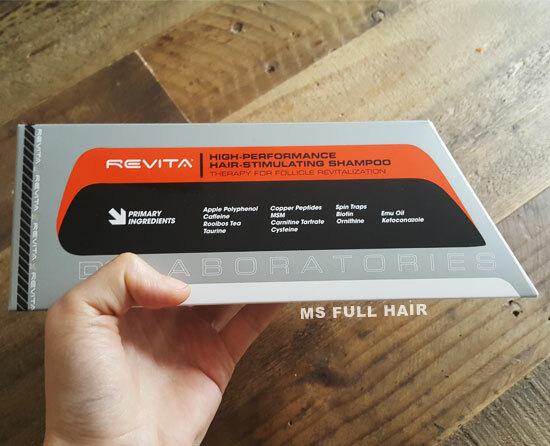 Do you happen to have any before and after video/photos of women who used the Revita shampoo? I am really sorry to hear about your hair loss condition. But try not to get stressed too much! Stress is one of the main reasons for hair loss. The video I included in the article is all I have for now, but if I find more photos/videos, I will definitely keep you posted.